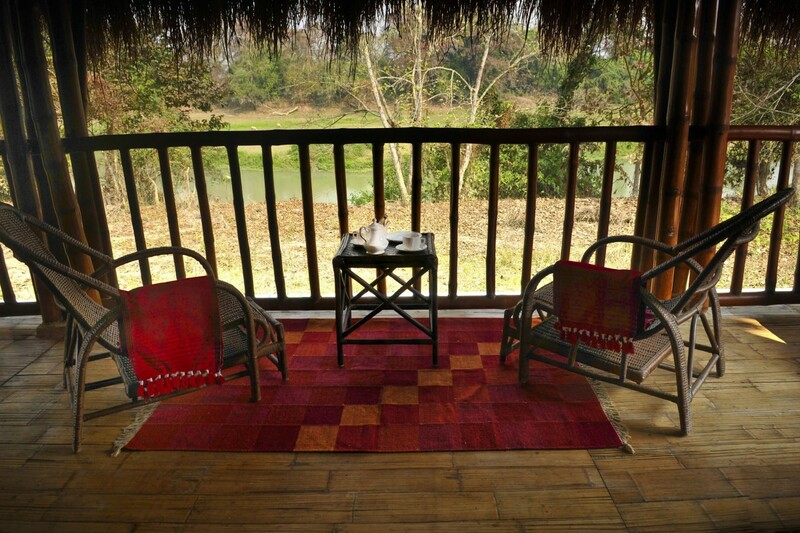 The relatively new, upmarket Diphlu River Lodge in Assam has taken the accommodation for Kaziranga to another level, in more ways than one. Separated from the National Park by the Diphlu River, the property has 8 detached and 4 semi-detached air-conditioned cottages raised on stilts over paddy fields. 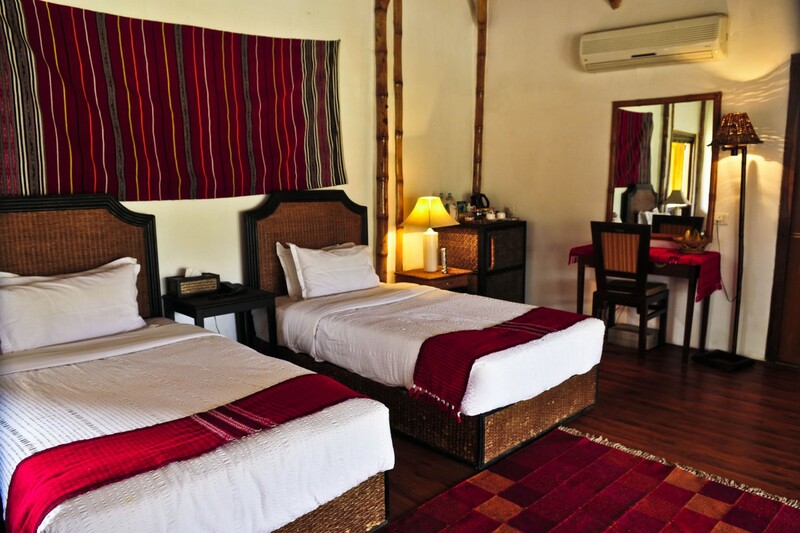 The well-appointed cottages are constructed from bamboo and thatch and feature a spacious bedroom, private bathroom and outside seating area. 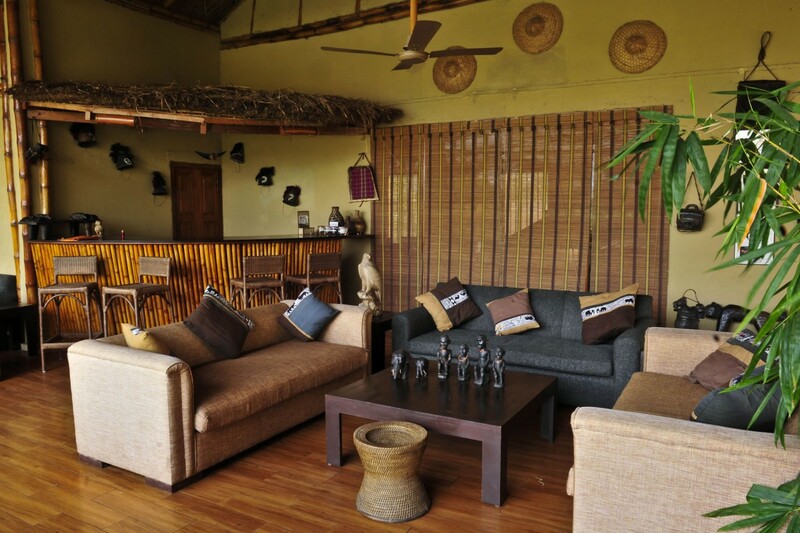 The rooms are linked by raised walkways to a central machan with a library, bar, open fire and dining area serving scrumptious food. 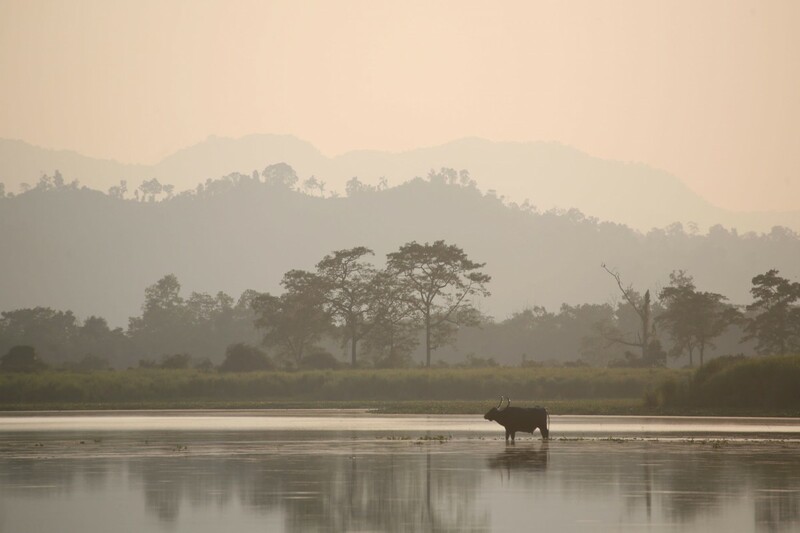 The paddy fields attract a good deal of wildlife, with elephants and rhino often seen across the river. 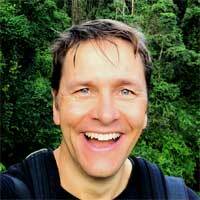 As well as game drives by elephant and jeep, you can also arrange walks in nearby tea gardens. 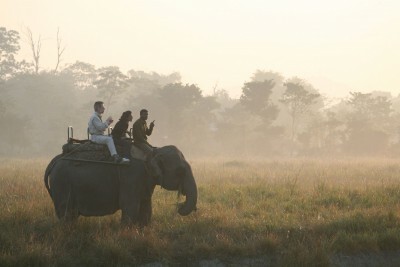 The lodge enjoys unique approval for nature walks within Kaziranga National Park itself – a very rare treat in Indian national parks. Private bathrooms, restaurant, bar, lounge area, library, air-conditioning and laundry service. Kaziranga National Park is famous for its large concentrations of mammals and in particular its large population of endangered greater Indian one-horned rhinoceros. Other wildlife includes abundant (but endangered) wild water buffalo, swamp and hog deer, wild boar, Asian elephant, Ganges river dolphin, capped langur and hoolock gibbon. The park actually holds the highest density of tigers left in India but they are difficult to see here because of the height of the elephant grass. There are many exciting birds present in the park too including the rare Bengal florican, and Pallas’s and grey-headed fish eagles. Elephant back, jeep and walking safaris in the park, encounters with domestic elephants including the opportunity to bathe them. Traditional Assamese dances are performed at the lodge and excursions to rubber and tea plantations, local villages and craft shops can be arranged. Tiger sightings are becoming more common here but are typically at a distance: usually when they skirt along the edges of the vast meadows. Bring a good pair of binoculars plus a long lens for your camera. [Diphlu River Lodge] was the best lodge we have ever stayed at. Accommodation, food, staff and location all ticked every box - not surprised it was visited by the royals! 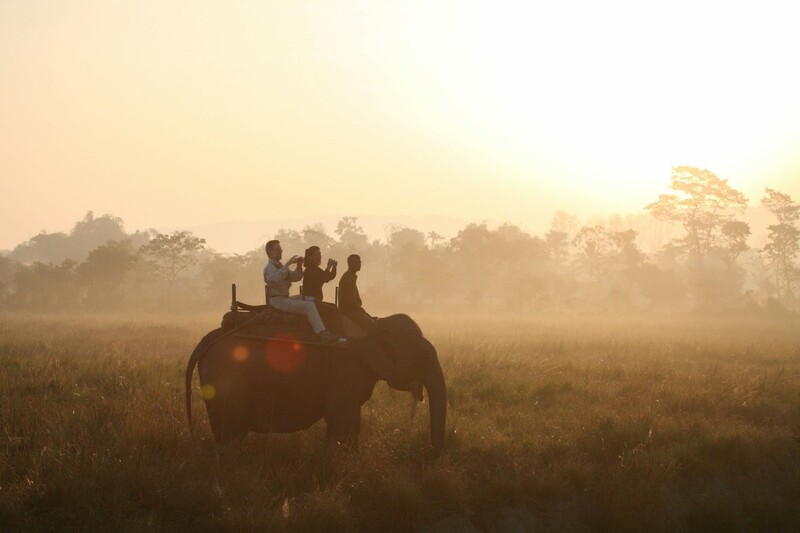 The national park at Kaziranga is superb and wildlife abundant.